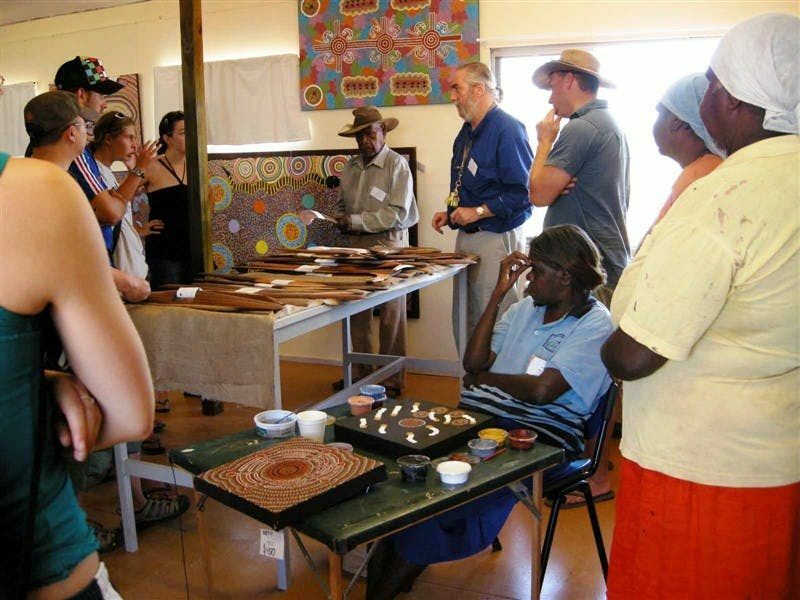 Located 350 kilometres north of Alice Springs, Ali Curung is a remote Aboriginal Community which is accessed from the Stuart Highway via just 22 kilometres of all-weather sealed bitumen road. Sign posted from the highway, Arlpwe is both an art gallery and art centre. 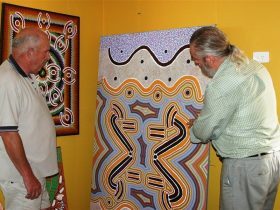 Visitors are welcome to explore the gallery, admiring the finished works, and also to meet the artists at work in the centre. 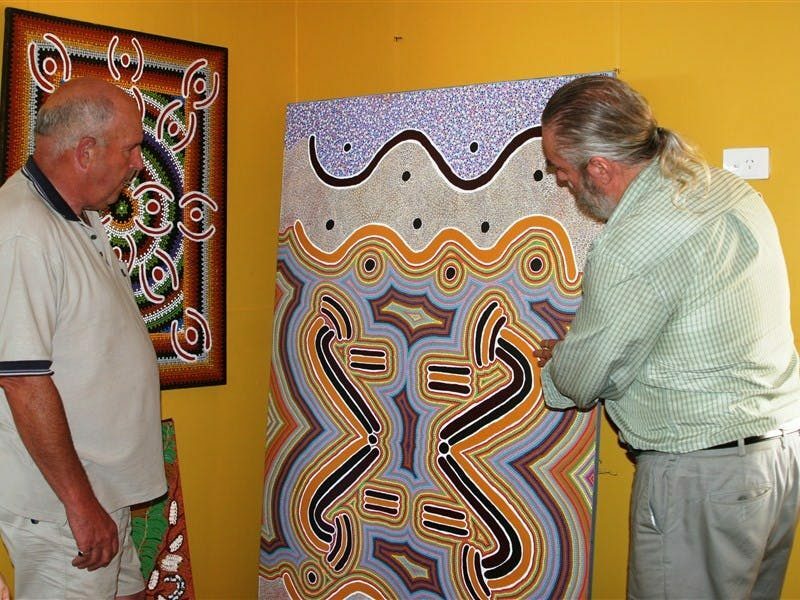 Learn of traditional stories, told through the paintings. 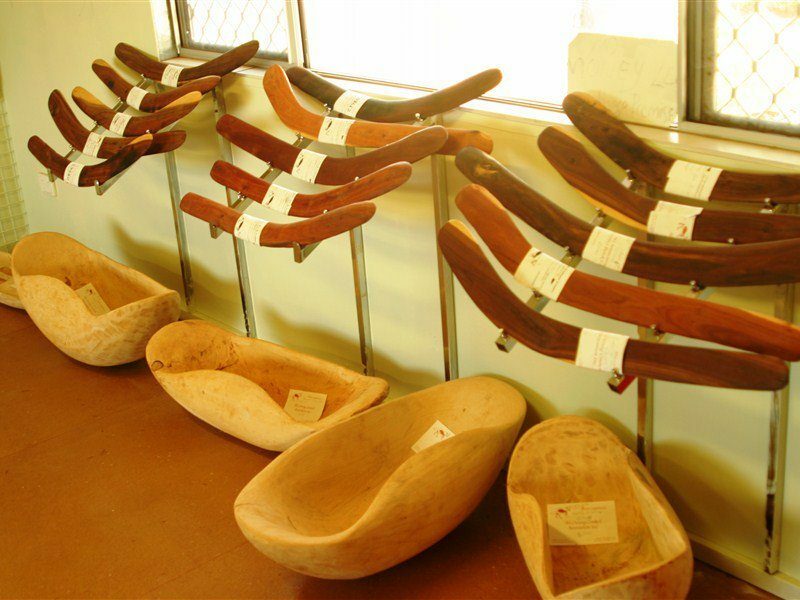 View the range of genuine artefacts fashioned from local timbers by traditional Aboriginal gentleman. Owned and operated by the Ali Curung Community, Arlpwe promotes the artistic work of local artisans. All work is for sale and is provided with a certificate of authenticity. 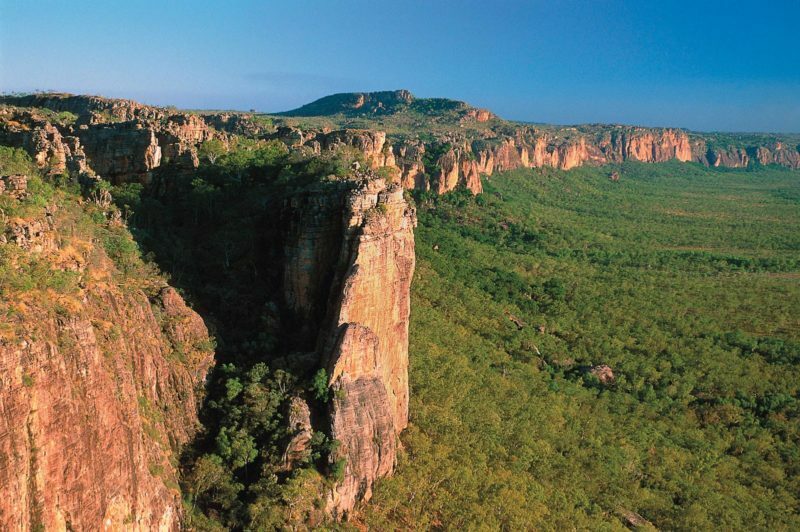 Experience a friendly community and a more traditional way of life.